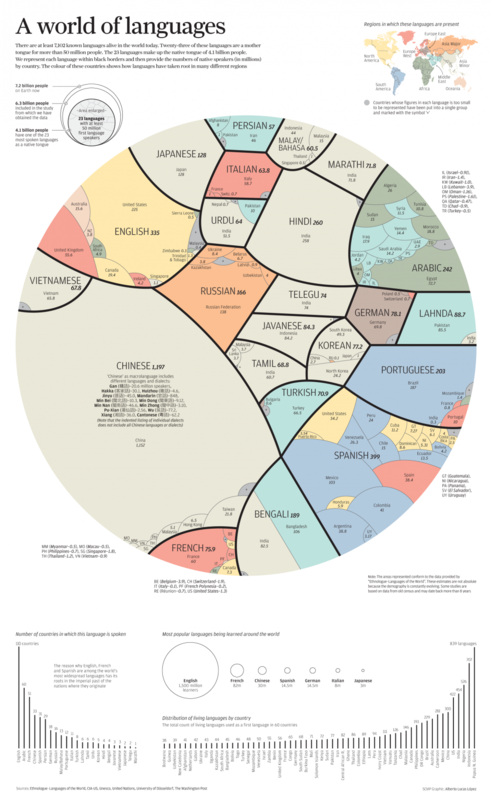 As I was studying this info-graphic regarding the languages of the world I was thinking again about my people – Albanians. There were not in the list. Simply because there are less than 50 million. We are less than 10 million. We are a drop to compare with other millions. We speak a language than none else speaks and that is because we never invaded another people group, never went to someone else land and exploit it. Instead we have always been invaded, transfigured by others. We have adapted in many things, but not the language. We have changed religions, but most of us have stayed pagans in the heart. Every theist religion has touched only the surface of the Albanians. We are a very proud people and that’s why we have made many times wrong decisions. But God loves us. Apostle Paul wrote that He preached the Gospel in our midst. Within the first century we had real churches in our country. Even now following a devastating 500 years under Ottoman Empire and 50 years under the Communist dictator, the grace of God has touched a few of us. We are still very few Albanians who loves Jesus. We are committed to continue be an example for those who are looking for God. We are not going to make the news of the media, but we are there. The Southern Baptists have stated that Albanians are one of the unreached ethnic groups in North America. Did you know that? Probably not! We are invisible. We are mostly spread and mingled in existing communities. We not very well organized as Albanians and we are not a visible minority. We need a bit more attention. We need more prayers and support. We need you!